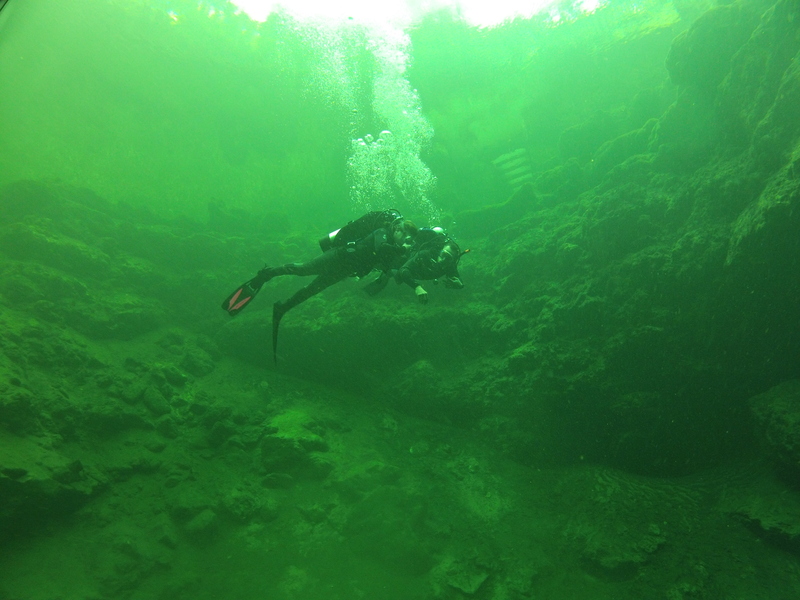 Scuba Buddies (Father and Daughter) Paul and Janele exploring Troy Springs during their Open Water Training dive. Janele said she likes that the Spring is large & deep. This entry was posted in H&R SCUBA CLASSES - SPRINGS, Paul-Mary Beth-Thia-Janele-November 2013. Bookmark the permalink.